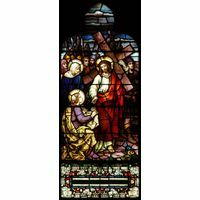 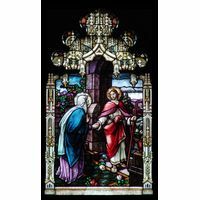 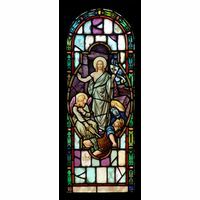 Saint Peter kneels before our Lord Jesus in this exquisite stained glass window panel. 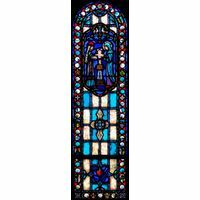 Exquisite artistry, detail in design and a full palette of breathtaking color blend with symmetrical perfection in this work of stained glass art. 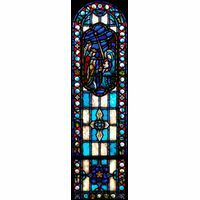 Naturally varied textures embedded in this elegantly arched stained glass window capture light in shifting shades throughout the day, reflecting and refracting it as it beams through every area of placement. 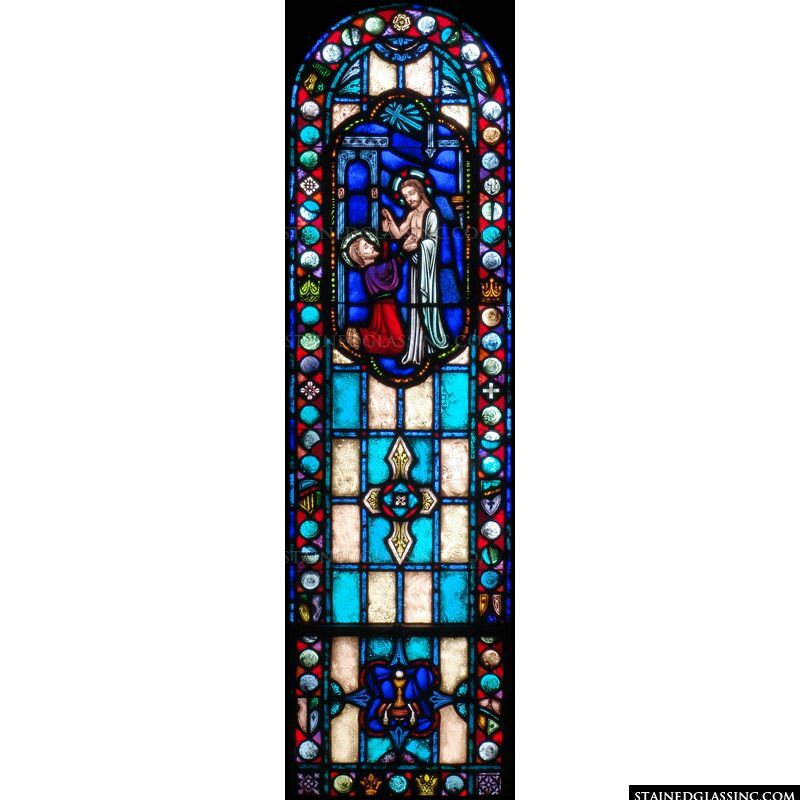 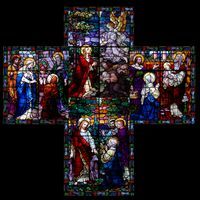 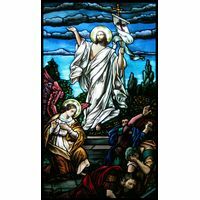 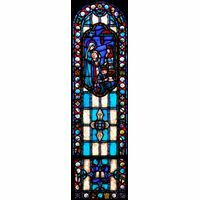 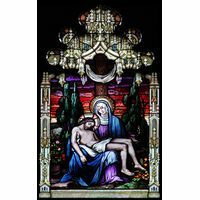 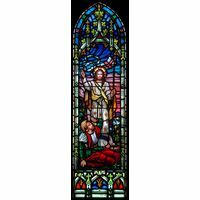 Perfect for enhancing church, chapel, or shrine to St. Peter, this lovely work of art lends itself perfectly as a signature piece for home or business decor, accenting with unique, one of a kind stained glass art. 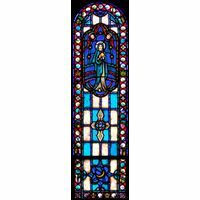 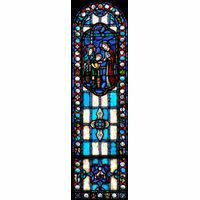 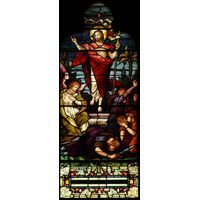 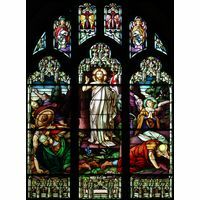 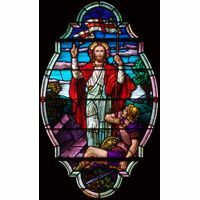 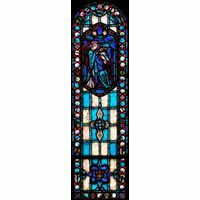 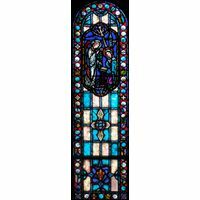 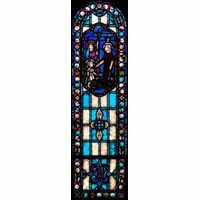 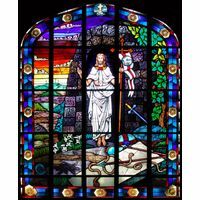 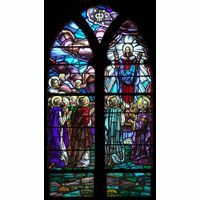 Created by master stained glass artists in the studios of Stained Glass, Inc., using old world technique that brings to mind the great cathedral art of Europe, this work is a true treasure.